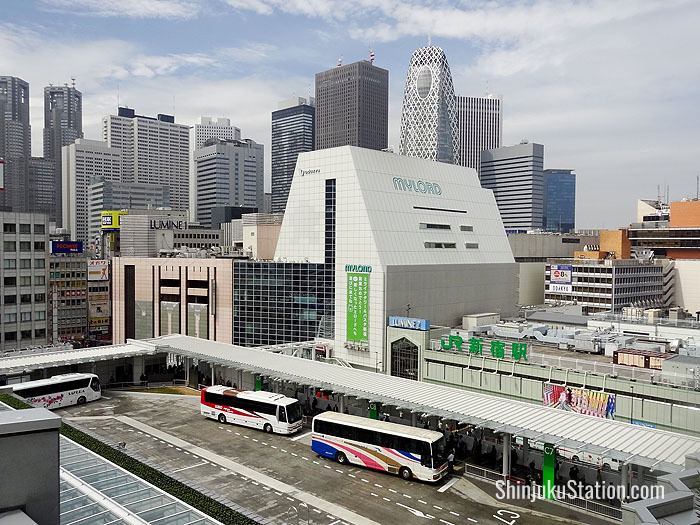 A major new bus terminal has opened in Tokyo’s Shinjuku district, offering one jumping-off point for low-cost connections to cities throughout Honshu, the largest of Japan’s main islands. 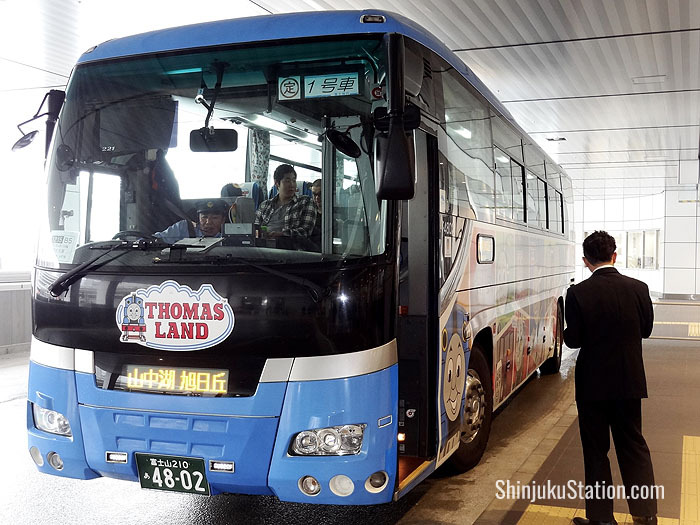 The Shinjuku Expressway Bus Terminal, known as Basuta Shinjuku in Japanese, saw its first bus roll out at 4 A.M. on April 4th, 2016, bound for Haneda airport. 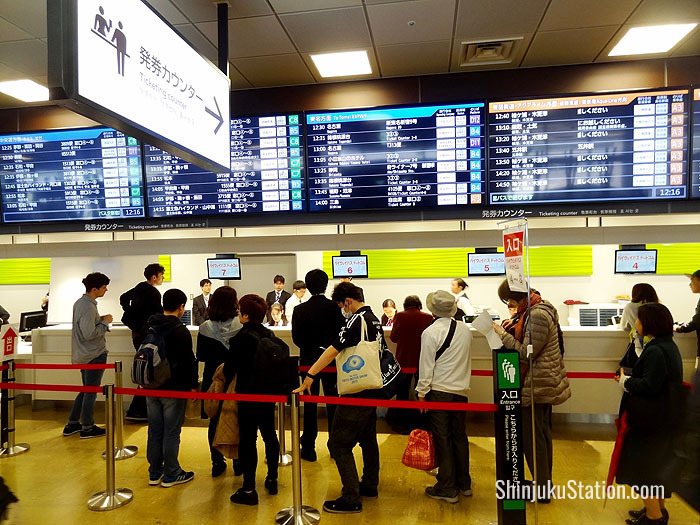 The terminal was crowded with passengers and news camera crews on the opening day, which marked the latest evolution of Shinjuku Station, the busiest rail hub in the world. 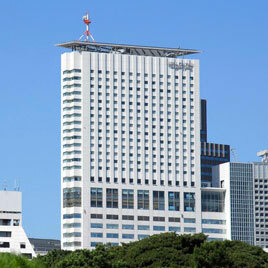 Basuta Shinjuku groups buses operated by a whopping 118 companies, including Keio Bus, JR Bus Kanto and Alpico Group. 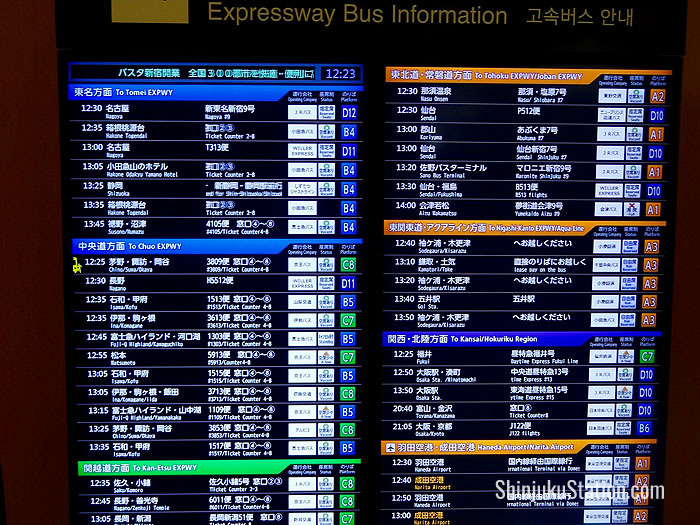 It consolidates nearly 20 previous bus terminals in Shinjuku. The one next to the Yodobashi Camera electronics store on the west side of the station, however, continues to run services to points along the Tomei Expressway region. 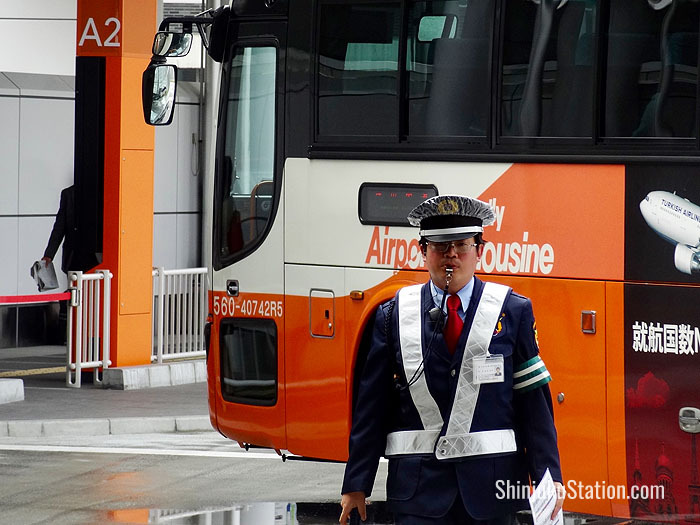 Open from about 3:30 A.M. to just before midnight, Basuta will have up to 1,624 bus departures a day, with services going throughout Honshu as well as parts of Kyushu and Shikoku. 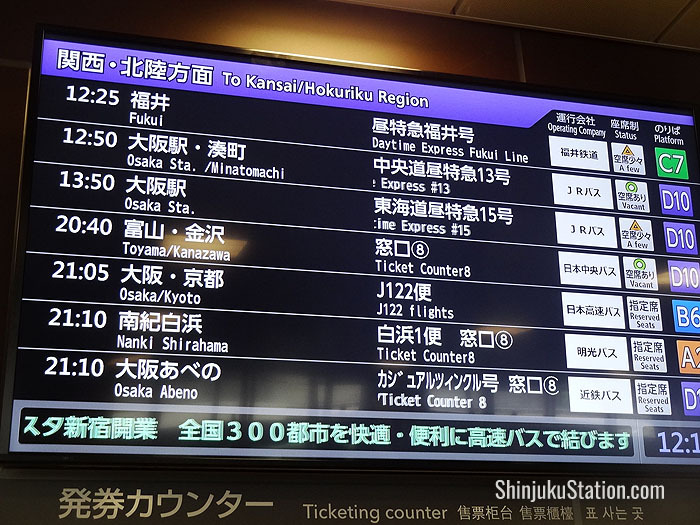 The island of Hokkaido is not in the terminal’s service range. 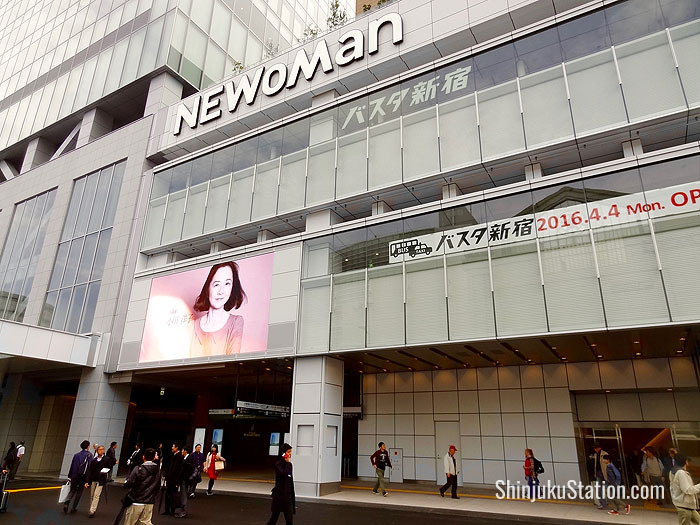 The new terminal is located on the south side of Shinjuku Station, facing Koshu Kaido street. It’s housed in the third and fourth floors of a building straddling the Yamanote Line and other railways running through Shinjuku Station. 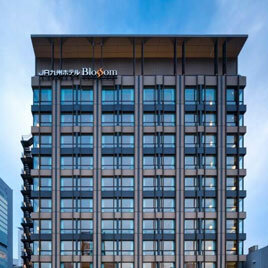 Basuta Shinjuku has multiple entrances and connections to the station as well as two new shopping malls, NEWoMan and Lumine Zero, and the JR Shinjuku Miraina Tower, a high-rise office building. 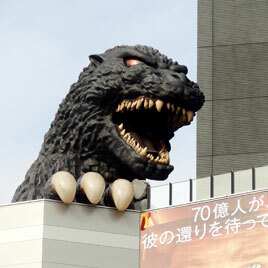 It faces the bulk of Shinjuku Station to the north and the Takashimaya Times Square shopping mall to the south. The third floor consists of a large taxi bay and bus parking area, as well as a tourist information office and outdoor deck. 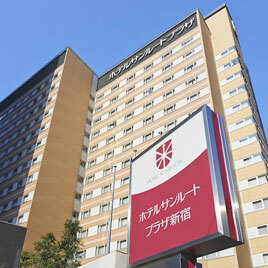 The fourth floor houses the ticket vending machines and ticket counters, and facilities such as coin lockers, nursing rooms, ATMs, an information counter and a lounge. The bus stops themselves are arranged around the open-air fourth-floor bus bay, which can be viewed from decks in the adjacent shopping mall. 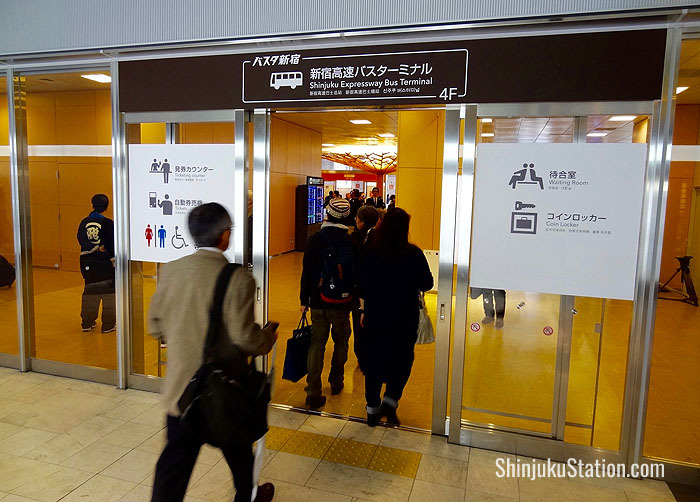 The following rail and subway lines can be accessed via Basuta Shinjuku (walking times vary from about 3 to 10 minutes): Yamanote Line, Chuo Main Line, Sobu Line, Shonan-Shinjuku Line, Saikyo Line, Odakyu Odawara Line, Keio Line, Seibu-Shinjuku Line, Marunouchi Line, Fukutoshin Line, Toei Shinjuku Line, Toei Oedo Line. The bus stop bays on the fourth floor are divided into four color-coded sections and labeled A, B, C and D. Because so many bus companies are represented here, there is some overlap in the sections. Section A (orange) covers the Tokyo region including Haneda and Narita airports as well as Tokyo Disney Resort. Section B (blue) covers Hakone, Shizuoka and Fuji Five Lakes. Section C (green) includes destinations in the Hokuriku and Shinshu regions such as Niigata, Jomo Kogen, Minakami, Fukui, Nagano, Kanazawa, Toyama, Kamikochi, Matsumoto, Gifu Takayama, and Hakuba. Section D (purple) covers the Tohoku and Kansai regions with cities such as Sendai, Yamagata, Nagano, Niigata, Karuizawa, Matsumoto, Nagoya, Osaka and Kyoto. Article and original photos by Tim Hornyak. All rights reserved.